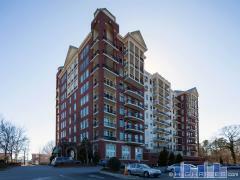 Cornerstone Village is loft-style condo building located between 9th & 10th streets and Peachtree Street. Cornerstone Lofts offers their residents underground parking, a fitness center, pool and concierge service. With four buildings of distinct flair, the Cornerstone property spans a full city block of space and tastes. In a top-tier loation without the top-tier price tag, the value of this property is unparalleled. Have any comments or questions about Cornerstone Village? Ask your question and/or share your thoughts about this Building.